Jarrow Formulas Yum-Yum D3 Liquid delivers 200 IU of vitamin D3 (cholecalciferol) per drop. 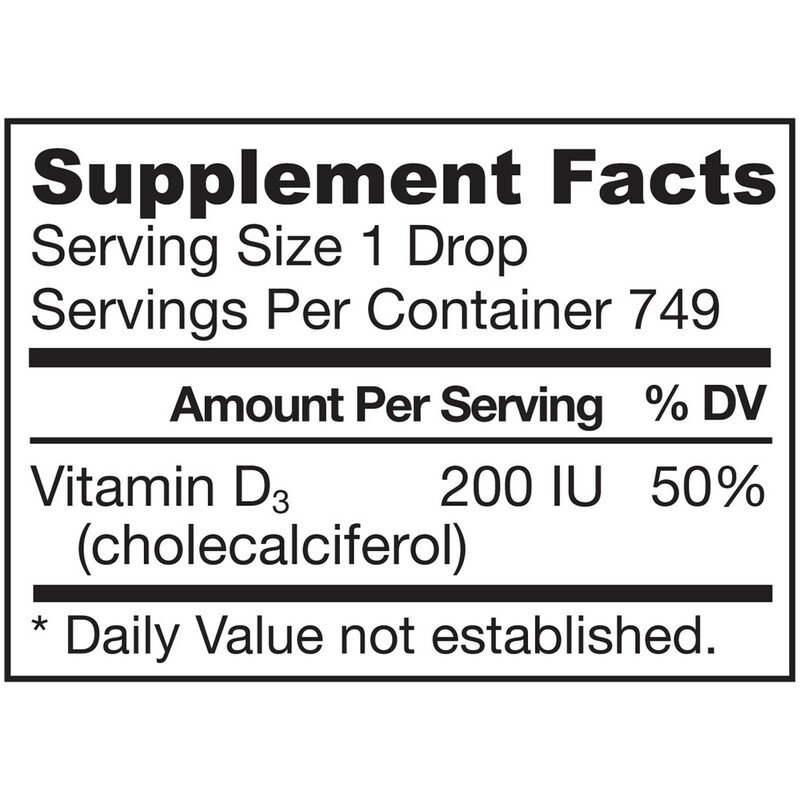 Other Ingredients Medium chain triglycerides and natural lemon flavor .Contains: Fish. No wheat, no gluten, no soybeans, no dairy, no egg, no shellfish, no peanuts/tree nuts. 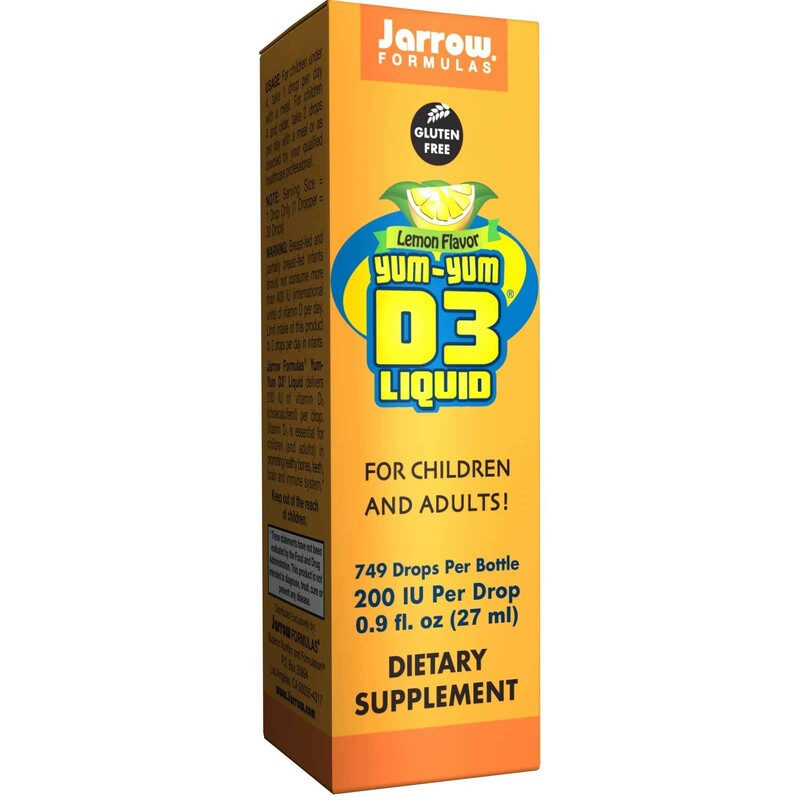 Jarrow Formulas Yum-Yum D3 Liquid delivers 200 IU of vitamin D3 (cholecalciferol) per drop. 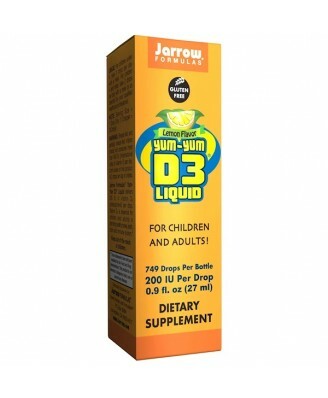 Vitamin D3 is essential for children (and adults). For children under 4, take 1 drop per day with a meal. For children 4 and older, take 2 drops per day with a meal. , Breast-fed and partially breast-fed infants should not consume more than 400IU (international units) of vitamin D per day. 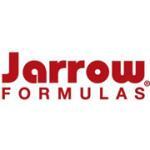 Limit intake of this product to 2 drops per day in infants. Keep out of the reach of children.